Driving at night time can be extremely dangerous, especially if you don’t have the best equipment in your car to deal with it. While headlights are key at this time, some luxury cars come equipped with night vision technologies. They’re incredibly impressive and add a new dimension of safety for the road user, pedestrians, and even animals loitering near the roadside. Of course, while you can buy quality used cars from Car Supermarket, each vehicle has its own level of said quality. Some cars are just in a league of their own when it comes to efficiency on the road. Consequently, here’s a quick list of the best vehicles that include night vision technologies. Despite automotive night vision being put into worldwide production in the year 2000 with the Cadillac Deville, the technology became a subject of wider news in 2009, alerting more people to the perks and advantages it would bring. The story focused around the Mercedes E-Class and its systems that included highlighting pedestrians in the dark and infrared imagery on a level that had not yet been seen before. However, the drawbacks are an ironically poor picture quality (especially when mist factors in) and little to no peripheral vision, which obviously won’t suffice for what is first and foremost a camera. For these fundamental reasons it ranks low. Like the Mercedes E-Class, the night vision implemented in the Cadillac CT6 can also detect people and animals too. However, multiple factors here give it the edge over the E-Class. For example, the CT6 provides night vision visibility over 100 yards away from the front of the vehicle and offers wider visibility. Additionally, the colour of pedestrians and animals will flash red if the vehicle is approaching them too quickly, as well as employ beeping alarms and vibrating seats to serve as alerts too. Lastly, it can even be used in other conditions, such as if there’s smoke or fog in the vicinity, giving it another perk that standard headlights, and the E-Class, can’t hope to match. 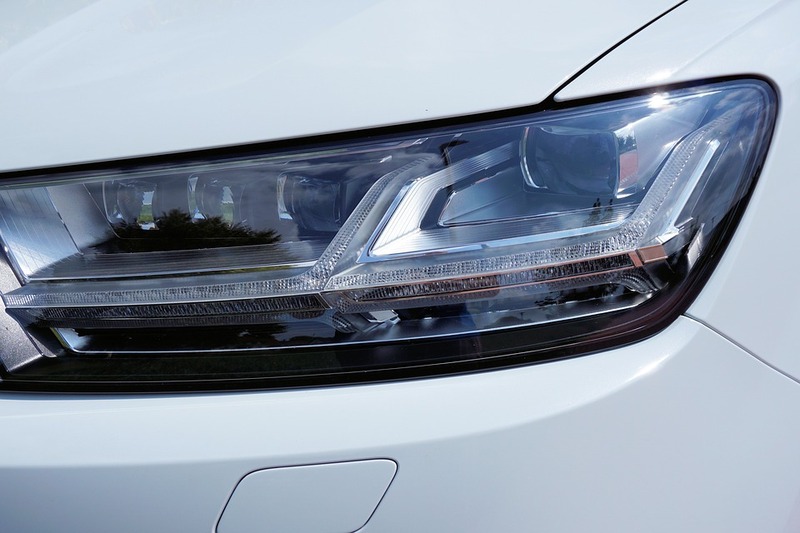 The Audi Q7 has an edge in highlighting hazards with its night vision technology. Stationary people or animals that are located near, but not on the road, will be highlighted in yellow, while those moving on the road that represent a possible threat are highlighted in red. Like the CT6, this also comes with a warning tone, but the colourisation of the threat level is a welcome addition. Moreover, pedestrians or animals are detected between 50 and 300ft from the front of the vehicle, which is an improvement on range too. This car comes at the top of the list principally for its range, allowing drivers to spot hazards sooner and thus giving them more time to react, preventing accidents on the road.